Tourism Minister Arief Yahya is seeking to push Indonesia to the top of the 2019 Global Muslim Travel Index (GMTI), tempo.co reported on Tuesday. The world’s halal destinations listed in the 2018 Global Muslim Travel Index ranked Indonesia second, after Malaysia. The archipelago stood at third place the year before, after Malaysia and the United Arab Emirates. The GMTI, which was introduced by CrescentRating in cooperation with MasterCard, evaluates and ranks countries based on how well they cater to Muslim travelers. Indonesia has made it into the top three based on four criteria: access, communication, environment and services. To achieve its target, the Tourism Ministry launched the Indonesia Muslim Travel Index (IMTI), a program that will rank Muslim-friendly destinations around the world. It was established in cooperation with CrescentRating and MasterCard. Riyanto Sofyan, head of the program’s halal tourism acceleration team, said Indonesia’s tourist numbers would increase by 50 percent if it managed to rise to the top of the 2019 GMTI. “We saw this when Lombok was ranked the World’s Best Halal Honeymoon Destination and World’s Best Halal Tourism Destination in 2015 and 2016, respectively. The number of tourists increased up to 50 percent, especially from the Middle East and Malaysia,” he explained. 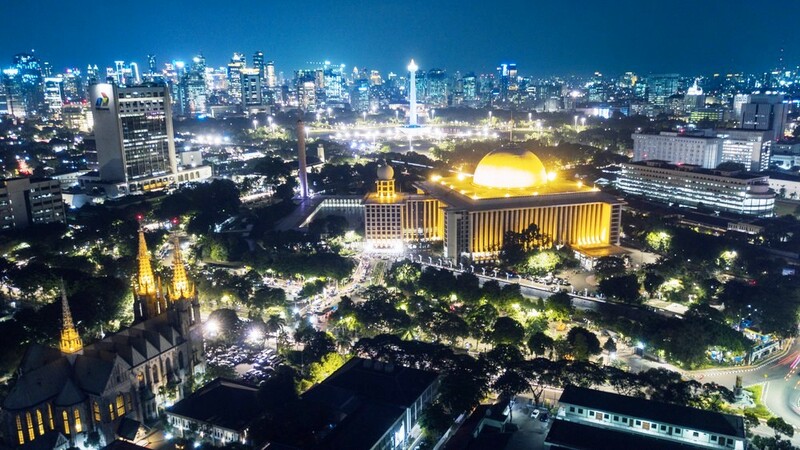 The ministry is aiming to attract 5 million visitors to Indonesia’s halal tourist destinations next year. In 2017, the destinations drew in 2.8 million visitors, and this year’s target is 3.8 million. As part of its strategy, the acceleration team categorized the halal destinations into Top 5 and Top 7 lists. The Top 5 are Lombok, West Sumatra, Aceh, Jakarta and West Java. The Top 7 list includes the Top 5 destinations, along with Riau and East Java. “There is also a Top 10, which includes the Top 7 with Central Java, Yogyakarta and South Sulawesi,” Riyanto said. Fazal Bahardeen, CEO of CrescentRating and Halal Trip, said there had been a spike in Muslim travelers since 2000.